Advocates say they're concerned over the arrests of Indian students who were enrolled at a phony university in Detroit that was created by the government to bust an immigration scam. 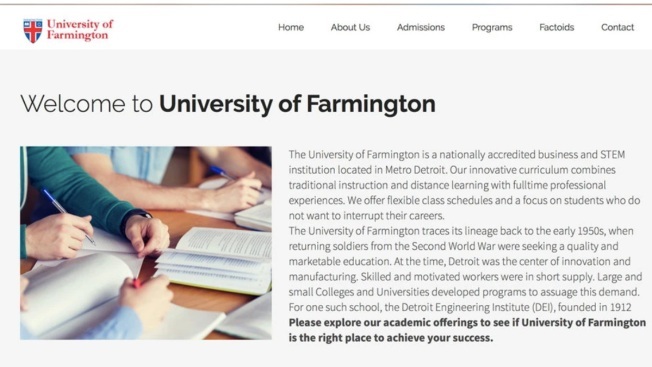 Federal authorities in January announced that the University of Farmington was fake and created by the Department of Homeland Security to catch people making money by helping foreigners stay in the U.S. as students. U.S. Immigration and Customs Enforcement spokesman Khaalid Walls tells the Detroit Free Press that the agency has arrested more than 160 foreign students on civil immigration violations. Most of the 600 students enrolled were from Telugu-speaking regions of India. Parmesh Bheemreddy is president of the American Telugu Association. He says the organization is struggling to track all of the students and is concerned about the conditions they're facing in jail.